Over the next few weeks, the KABHE Annual Conference would like to introduce the presenters that will be a part of the 34th KABHE Annual Conference, March 30 - April 1. Our first spotlight is on Dr. Antoinette Davis. Dr. Antoinette Davis will be leading a session titled “Overcoming Negative Reactions while Being a Minority Female and Pursuing a Career in STEM”. Dr. Antoinette Davis is a Lecturer of Mathematics in the Mathematics & Statistics Department at Eastern Kentucky University. Dr. Davis holds a doctoral degree from the University of Kentucky in the area Instruction/Administration-Mathematics Education. She also holds a Master’s Degree in Applied Mathematics from Wayne State University. She also holds a Bachelor’s Degree in Mathematics from Oakwood University as well as two certificates from Harvard University's Graduate School of Education. Prior to joining EKU, she taught online for eight years for various institutions such as: Kaplan University, Southern New Hampshire University, and Minnesota School of Business. She enjoys working with technology and finding ways to use technology to keep students engaged in the mathematics classroom. She encourages women of all ages and backgrounds to join STEM majors so that they can be at the forefront of the positive changes that occur when women join forces to go on to the next level. Today's spotlight is the Keynote Speaker for the President's Reception for our KABHE 34th Annual Conference. Read below to find out more about Dr. Candice Jackson! 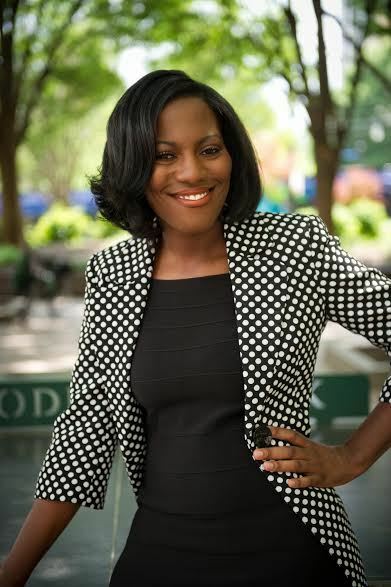 Dr. Candice Jackson is the Interim Provost and Vice President for Academic Affairs at Kentucky State University. 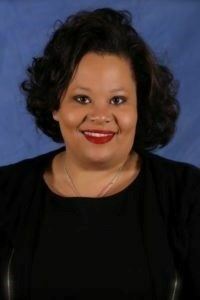 The former Chief of Operations for Kentucky State University comes to KSU from Tougaloo College, where she served as Assistant Provost and Assistant Vice President for Academic Affairs. Previously, she was an Associate Professor and Chair of the English Department as well as Director of the Honors Program at Tougaloo College. She also served as an Assistant Professor at Southern Illinois University-Edwardsville, where she taught courses in American and African-American literary studies. “I am thrilled to join this chapter in Kentucky State University’s rich history. There is a distinctive and magnetic commitment to academic excellence and servant leadership at Kentucky State University, and I appreciate the opportunity to be a part of this living legacy,” Jackson said. Originally from Jackson, Mississippi, she has published on the subjects of African-American literature, Southern literature and popular culture. She also is a contributor to various works such as the Cambridge History of the African American Literature, The Richard Wright Encyclopedia, The Greenwood Encyclopedia of Multiethnic American Literature, A Gift of Story and Song: An Encyclopedia on Twentieth Century African-American Writers and the Harlem Renaissance Encyclopedia. She most recently published “A Plethora of African-American Hand Fans” in MELUS: Multi-Ethnic Literatures of the United States (2015). In addition, Jackson has participated as a presenter and lecturer at numerous conferences. LEXINGTON, Ky. (Feb. 19, 2016) — Editors Gerald Smith, Karen Cotton McDaniel and John A. Hardin of The Kentucky African American Encyclopedia, published by University Press of Kentucky (UPK), were named recipients of the 2016 Living Legacy Award during the 13th annual Black History Month Celebration, held Feb. 10, at the Kentucky State Capitol in Frankfort. "The work by Dr. Smith, Dr. McDaniel and Dr. Hardin is a major step in preserving the accomplishments of African-American leaders," said Sen. Gerald A. Neal, of Louisville. "We were honored to have acknowledged them by bestowing our highest recognition, the Living Legacy Award." The Kentucky African American Encyclopedia is the first encyclopedia of its kind in the nation. The publication includes biographical sketches of politicians and community leaders as well as pioneers in art, science and industry from across the Commonwealth. For researchers, students and history buffs, the encyclopedia is an indispensable reference that highlights the diversity of the Kentucky’s culture and history. This year's celebration, hosted by the Kentucky Black Legislative Caucus, focused on the theme "The Unfinished Business of Kentucky: 'Symbolism and Reality.'" Gerald Smith, the Theodore A. Hallam Professor and the Martin Luther King Jr. Scholar in Residence at the University of Kentucky Department of History, delivered the event's keynote address, "What is Kentucky Saying About Us (African-Americans)?" to a standing room only crowd in the Capitol. The event was presented by the Kentucky Black Legislative Caucus. Along with Sen. Neal, the caucus is composed of Sen. Reginald Thomas and Rep. George Brown Jr., of Lexington; Rep. Jim Glenn, of Owensboro; Rep. Derrick Graham, of Frankfort; Rep. Reginald Meeks and Rep. Darryl Owens, of Louisville; and Rep. Arnold Simpson, of Covington. Several other members of the caucus joined Neal in speaking on the significance of the Black History Month celebration. Graham led the Legislative Roll Call. Several other legislators and Gov. Matt Bevin were also in attendance. "This is not just a celebration of African-American history," Neal explained, "This is a celebration of American history. Black History Month presents us an opportunity to remember the important legacy of African-Americans in Kentucky and the nation — much of which would have been lost over the years if not for this special time of remembrance. It is important that we know and honor many of the notable citizens who have contributed to our history as well as pay respect to the many, many others whom history has forgotten. I encourage all Kentuckians to join me as we observe Black History Month." Alumnus and noted UK historian, Smith is the author, editor or co-editor of three books and other publications on history. He is pastor of the Pilgrim Baptist Church in Lexington, Kentucky. Alumna Karen Cotton McDaniel is professor emeritus at Kentucky State University, where she was a tenured full professor and director of libraries. She has more than 20 publications on black Kentuckians, including book chapters, articles and encyclopedic essays. She has also taught at Eastern Kentucky University and Berea College. The Kentucky Student Success Summit Is Approaching! This year's Summit theme is "Student Success Game Changers: Practical and Proven Strategies for Elevating Your Student Success Game," featuring many speakers, including Dr. Freeman Hrabowski, President of University of Maryland, Baltimore County. To see Dr. Hrabowski's TED talk, click here. Stay tuned for more forthcoming biographies and information on additional Summit speakers! For more information on Dr. Hrabowski, click here. Interested in presenting at the Summit's Poster session tentatively set for the evening of April 4, 2016? You can find the Call for Poster Proposals here. Call for Proposals are due on March 4, 2016 and should address a student success initiative at your institution. Check our our Employment Tab! Tab! Explore all the job opportunities available for you. Move on Up!! !” If you have job postings that you would like listed on our KABJE site, please send us. View the current job openings in your Region. Stay up-to-date on job openings in your area we'll be adding new openings all the time! Did you benefit from attending the Regional Conference? If so, please add a comment on the value of the Regional conference you attended.